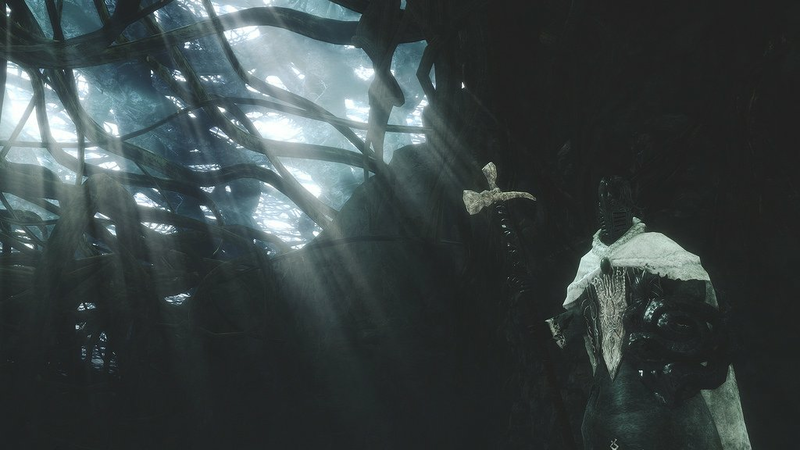 Archdrake Pilgrim (Lindelt Cleric) is an enemy in Dark Souls 2. A powerful enemy who uses a mace found in the Shrine of Amana. Runs at a decent speed in the water and tends to be accompanied by either a sorcerer, another protecter, or a few water rats. They deal decent damage and can stun-lock with his combo attack. They have a moderate aggro range on sight. They can be stunlocked pretty easy (using a Ricards Rapier). You can stun-lock them pretty easily 2-handing a Dagger or a thrusting sword like Ricard's Rapier. Using a bow, 2 Arrows will stun them. Alternatively, circling to their left side opens them up for an easy back-stab. Archdrake Pilgrims have an extremely high drop rate. It is easy to farm Twinkling Titanite from them.